Youngstown State University showcased historic books from the 16th and 17th centuries in Maag Library last month. 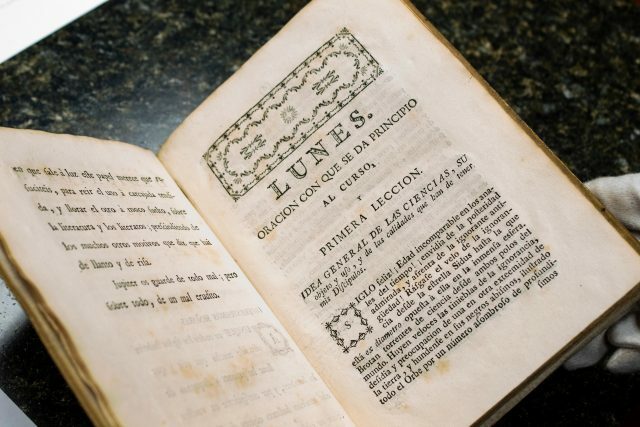 The library holds seven books that were printed in the 16th century and more than 30 printed in the 17th century. The oldest books available are from the years 1548, 1560, 1567 and 1570. Cassie Nespor, curator of the university archives and Melnick Medical Museum, said the idea to display these books started with a program she was overseeing for a Girl Scout troop. Nespor said the books displayed were from London, Paris, Madrid, Barcelona and the United States with publications throughout Europe and Great Britain. Languages ranging from Latin, French, German, English, Spanish and Dutch are also included. The subjects of the books range in topics such as philosophy, religion, history of people and cities, plays, scientific studies, health and medicine, music, encyclopedias and poems. 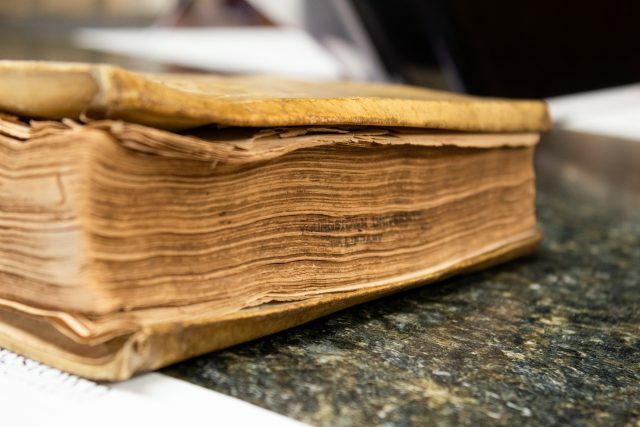 The books were either purchased or donated by alumnus, local collectors or faculty members, and even though the showcase has ended, the books are currently located in the Special Collections area on the fifth floor of Maag Library. Nespor said the books are not available for check-out, but can be used for research and study. Brianna Stitt, a sophomore history major, said she didn’t get a chance to visit the exhibit, but it would have been interesting to check out. In her opinion, it’s important for students to be more interested in history because time often repeats itself. Justin Madura, a freshman history major, said the exhibit Maag Library showcased was an interesting way for historical pieces to be presented to others in an open way. Nespor said the exhibit was a great opportunity to spread the word about these wonderful resources available in our library. Students and faculty interested in looking more into the archived collections can visit Maag Library on the fifth floor. Copyright © 2019 The Jambar.